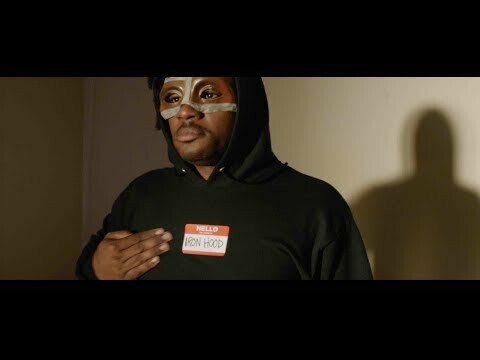 Novelist Tom Robbins once said, “Humor is both a form of wisdom and a means of survival.” These words are the artistic ethos of Robbins fan and acclaimed Los Angeles-based rapper Michael Eagle II, better known as Open Mike Eagle. Like a good comedian, he couches uncomfortable truths in hilarious punchlines. Like the greatest comedians, he knows when to forsake a joke entirely, when to lay pain bare so he and his audience can find catharsis and continue. On album’s like Brick Body Kids Still Daydream (2017) and Dark Comedy (2014), Eagle’s sharp humor, along with the musicality of his verses and his ear for forward-thinking production, have received praise from Pitchfork, Rolling Stone, NPR, and more. In addition to headlining solo shows around the world, he regularly performs at festivals such as the 2018 Pitchfork Festival and the inaugural Adult Swim Festival. Of late, he’s taken his passion for comedy beyond the studio. Together, Eagle and comedian Baron Vaughn created The New Negroes, a standup-meets-music variety show that explores and expands perceptions of blackness. Following months of lauded shows at venues like LA’s Upright Citizens Brigade, Comedy Central commissioned the show for a full season, which will air in 2019. Before rap and comedy, there was Chicago. Born on Southeast side of the city, Eagle attended magnet schools in more affluent neighborhoods, an experience he credits with shaping his understanding of human behavior. In high school, though he loved A Tribe Called Quest and Wu-Tang Clan, he developed an equal affinity for alternative rock bands like They Might Be Giants. While studying psychology at Southern Illinois University Carbondale, where he met friends and future collaborators comedian Hannibal Buress and rapper Serengeti, Eagle began making music in earnest for the first time. After college, Eagle moved to Los Angeles and embedded himself in the city’s independent rap scene. At Project Blowed, the renowned open mic workshop and rap collective based in Leimert Park, he honed his skills by freestyling in cutthroat cyphers. Then, in 2010, he released his solo debut, Unapologetic Art Rap (Mush Records). The album planted a flag for “art rap,” the term Eagle coined as shorthand for progressive, leftfield rap music, and attracted the attention of local publications like LA Weekly, who called the album “acidic and excellent.” Eagle continued to receive critical recognition for the several albums that followed, especially 2012’s 4NML HSPTL, which featured guests like Serengeti and Danny Brown. That same year he attracted attention in academic circles, co-writing and publishing a scientific study in Nature that investigated the cognitive differences between freestyled and rehearsed rap. 2014, however, marked the beginning of his national profile. After signing a multi-album deal with indie rap label Mello Music Group, Eagle released Dark Comedy. Here he chronicled our addiction to technology, our social anxieties, the existential and financial realities of being an artist in the streaming era, and more with self-deprecation, side-splitting absurdity, and an underlying compassion. Dark Comedy firmly established Eagle as one of the genre’s most intelligent writers and uncompromising artists. Pitchfork called the album “one of the most compelling indie-rap listens of the year,” and it ranked highly on many year-end lists. Released on the heels of Hella Personal Film Festival, Eagle’s 2016 collaborative album with renowned UK producer Paul White, 2017’s Brick Body Kids Still Daydream (Mello Music Group) is his wisest album yet. Part documentary, part tribute, BBKSD examines the nine-year demolition of the Robert Taylor Homes in Chicago, where several members of his family once lived. Blending powerful fantasy and grim reality, he illustrates how he and members of this community have persisted in spite of the institutional racism this demolition violently affirmed, how they’ve coped with the lingering traumas of life in the projects. In wading through the rubble of his past, Eagle created an musical monument where a physical one should’ve long-since existed. There are few jokes, but there are decades of survival. Eagle’s forthcoming EP, what happens when i try to relax, once again strikes a brilliant balance between the insightful and the comedic. Turning his gaze inward, he weighs his recent successes against the many sociopolitical failures of the present. For Eagle, this is the sound of catharsis, the music he needs to make to continue.